My 8 year old daughter drew the phone for this image. Before there was caller identification it was pretty harmless to make prank calls. dials and asking "Is your refrigerator running?". The person would answer "Yes". Then I would (through muffled giggles) burst out "THEN GO CHASE IT!" and hang up and literally roll on the floor laughing. My favourite call was when I heard the person on the other end start to chuckle as I hung up. It was completely innocent and fun and I'm sure something that would not work out quite the same today. It's a fond memory and I was just thinking about it today before I read about this SITS November writing prompt idea. 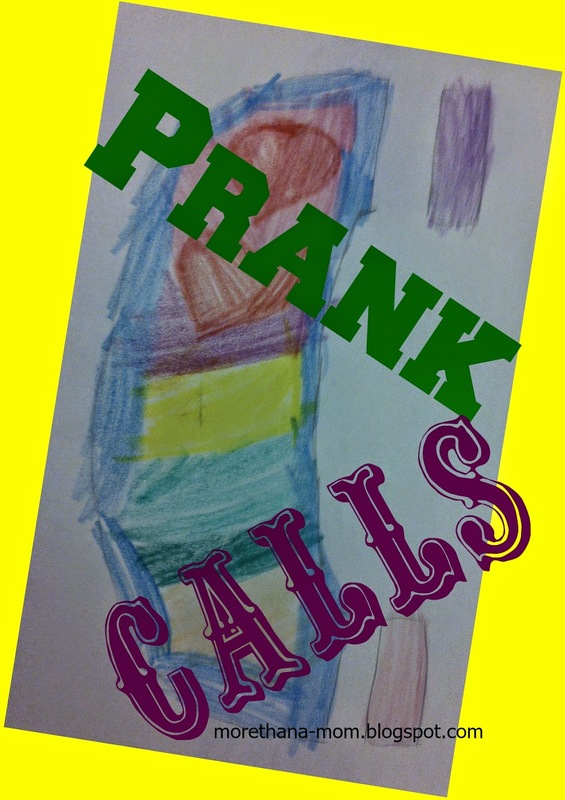 Did you make prank calls when you were a kid or teen? :Leave a comment about what you did and what effect it has had on you in later years.